Almost three quarters of the country is blanketed in snow and below normal temps. 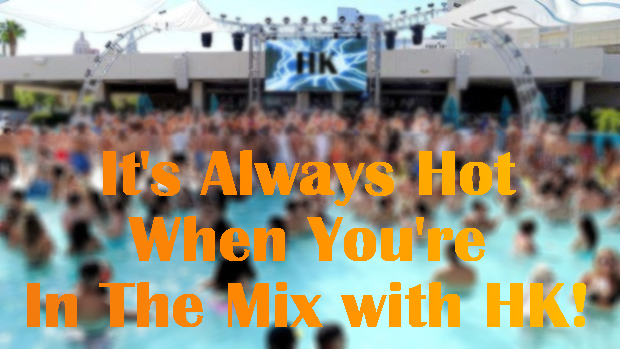 But don't worry…cause it's always smokin' hot when you're In The Mix with HK™. Join me behind the velvet rope this weekend to hear killer custom remixes on Calvin Harris - “Thinking About You”, Rihanna - “What Now”, Britney Spears - “Perfume”, Avicii – “Hey Brother”, plus fresh exclusive remixes on Ellie Goulding – “Burn”, Lorde – “Team” and Katy Perry’s new one– “Dark Horse”. I'm also gonna raise the roof and the temperature when I bust out epic reworkings of Bastille - "Pompeii", A Great Big World - "Say Something", Neighbourhood - "Sweater Weather" and many more. There's also part two of my exclusive interview with Selena Gomez.